We’ve been on the prowl for a modern classic, affordable, sporting German car for a while now. And while we were pretty sure an MK2 GTi or GLi would fit the bill, we couldn’t find one close enough to justify a trip to check out, and those that looked promising were $4-6k believe it or not! Not to mention perfect cars were even more amazing! The Good: It was owned for 21 years by a doctor and the sale included an eye popping $28k in maintenance receipts. Not a misprint; twenty eight thousand dollars!! 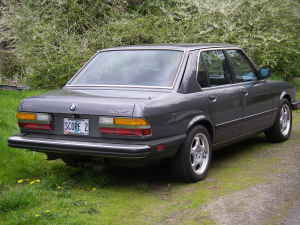 It also includes the original MSRP from the Portland BMW dealership for well over $30k! This car was all stock in their care and nearly any issue or service item was done at the dealership. Almost everything works on the car, except of course for the onboard computer. Most of the 200k miles on this car are well looked after. The Bad: The past 3-4 years of history on the car are sketchy. Someone junked the stock TRX wheels in favor of e36 M3 alloys. While they look good, I’m not sure they’re fitted correctly. And the front suspension bushings, alignment, and wear items are all feeling like they need attention. 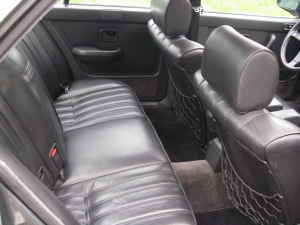 The front seats are also feeling really loose, and the driver’s side leans heavily to the left. The exhaust also has holes in it. While this post would be cooler if it was a perfect car and a 5 speed, I think it’s a car that was rescued at the right time by the right new owners. Even if another $2k needs to be spent immediately, it’s amazingly clean over all. We’ll have a great car that has a ton of style and is a real pleasure to drive. Even with the suspension on the questionable side, the corning is very flat and easy to control. The seating position is great, and the car has some guts too! Look for e28 project updates in future posts! 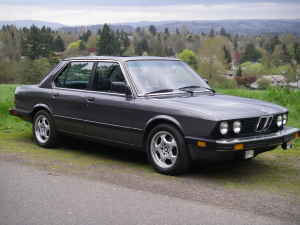 That was a really nice one, but I’ve got to be honest… $11k is e28 M5 money isn’t it? Very cool find. Sorry I missed this, that’ll teach me to travel!